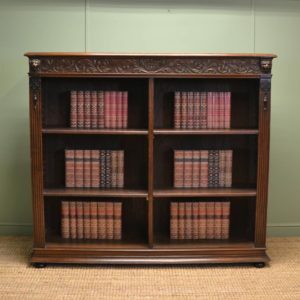 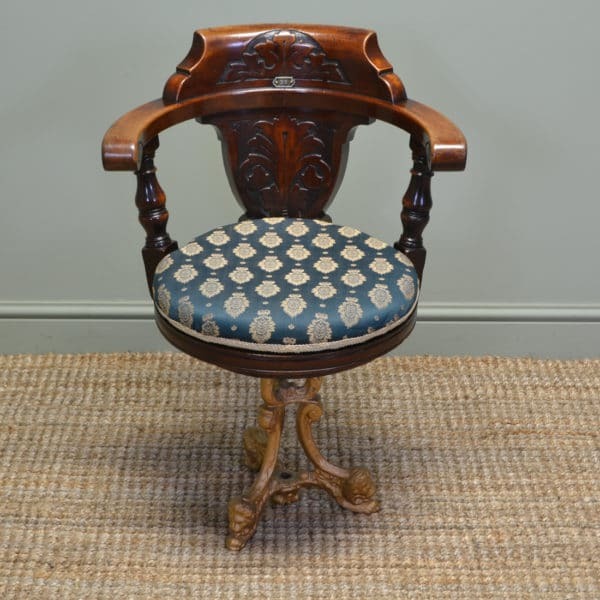 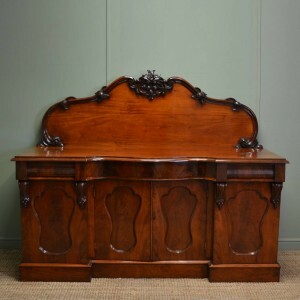 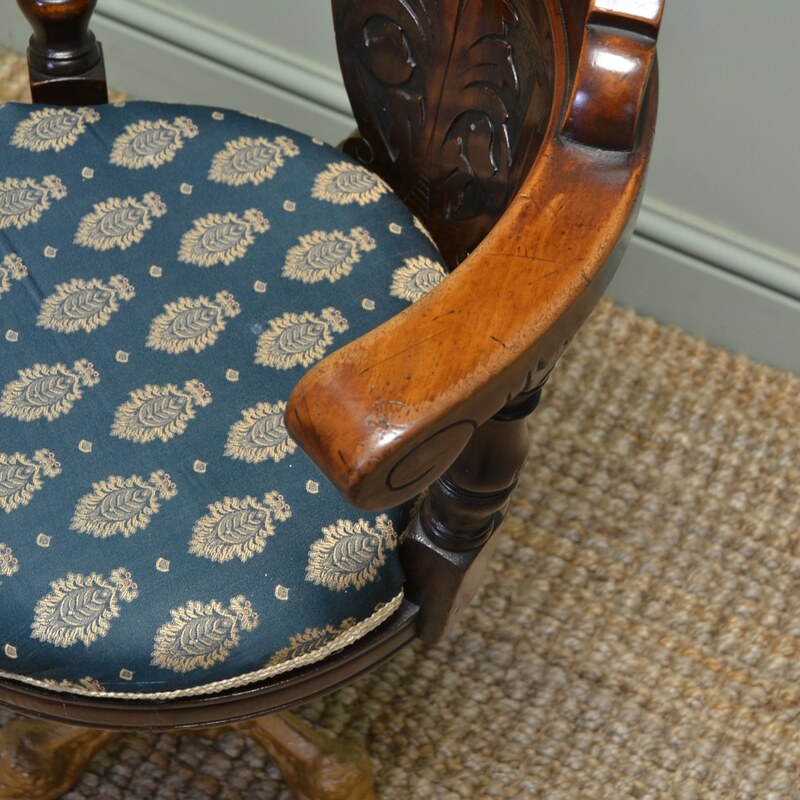 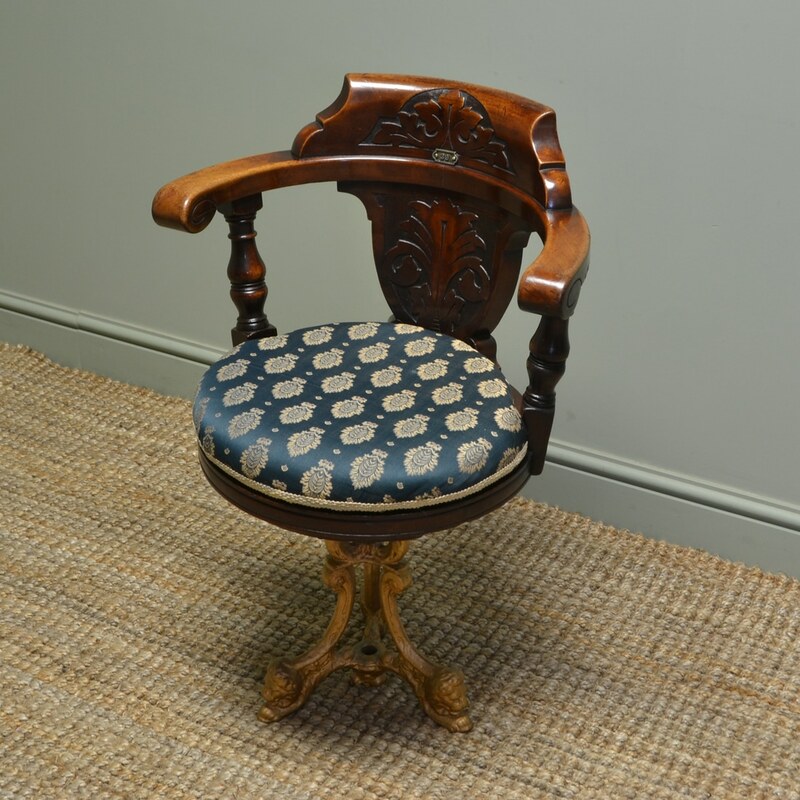 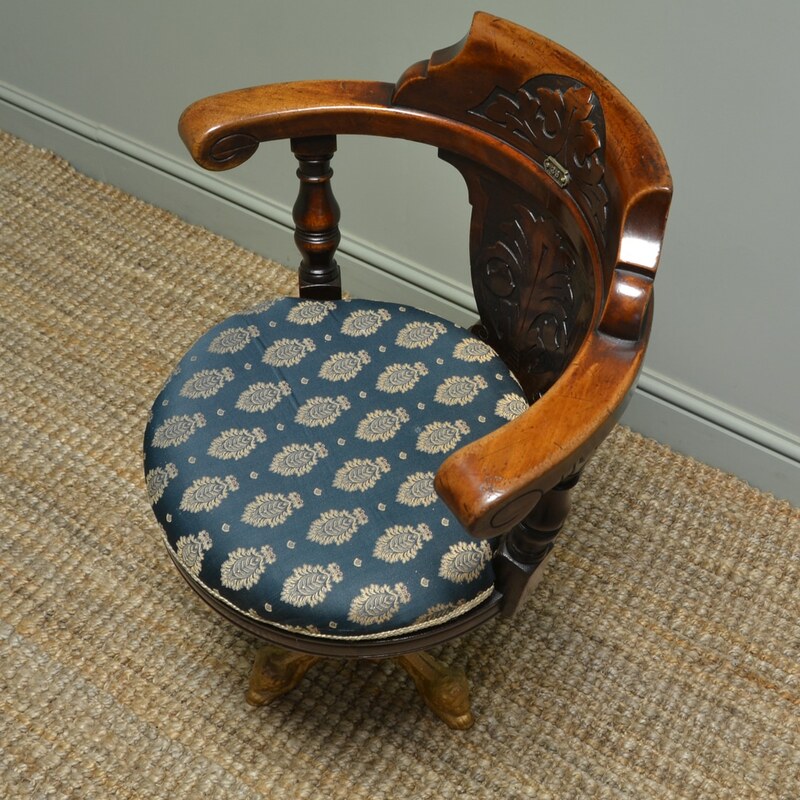 Made around 1880 with all the quality you would expect from ships furniture that has to endure several years on the high seas, this wonderful chair has a beautifully carved scrolled back with decorative carvings and turned upright supports. 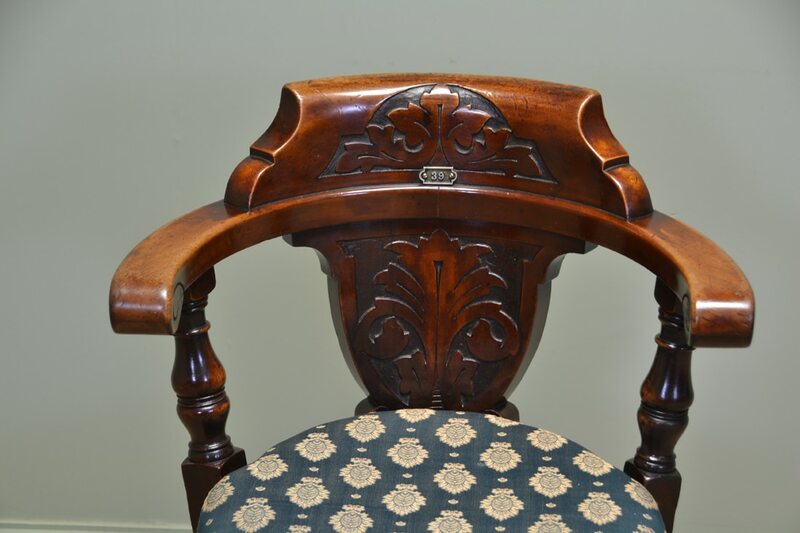 Made around 1880 with all the quality you would expect from ships furniture that has to endure several years on the high seas, this wonderful chair has a beautifully carved scrolled back with decorative carvings and turned upright supports. 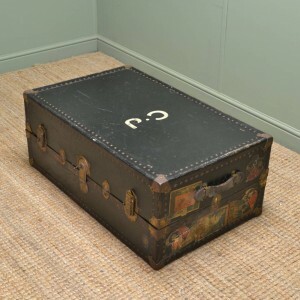 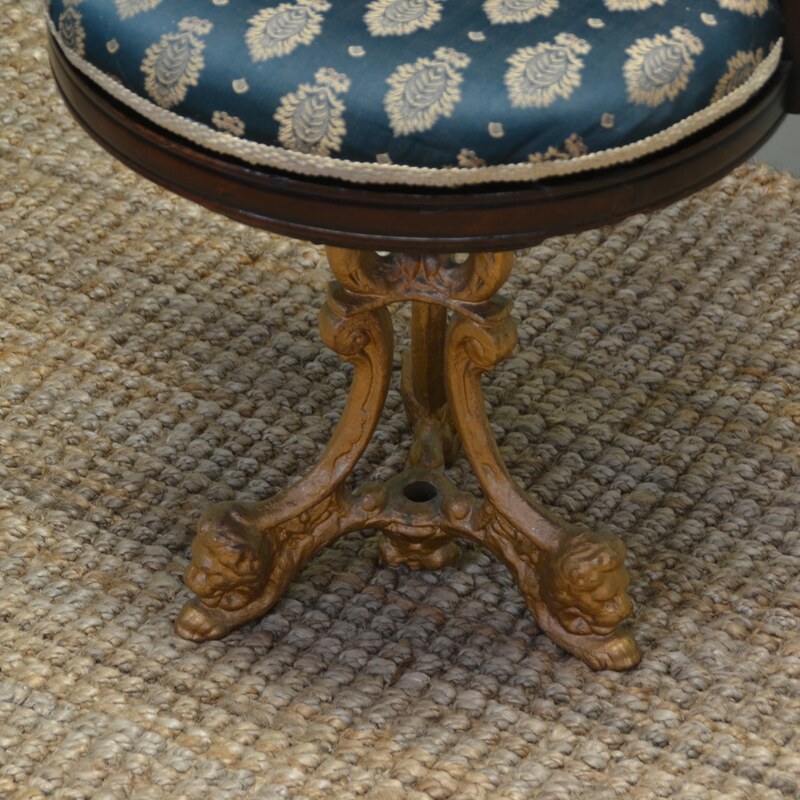 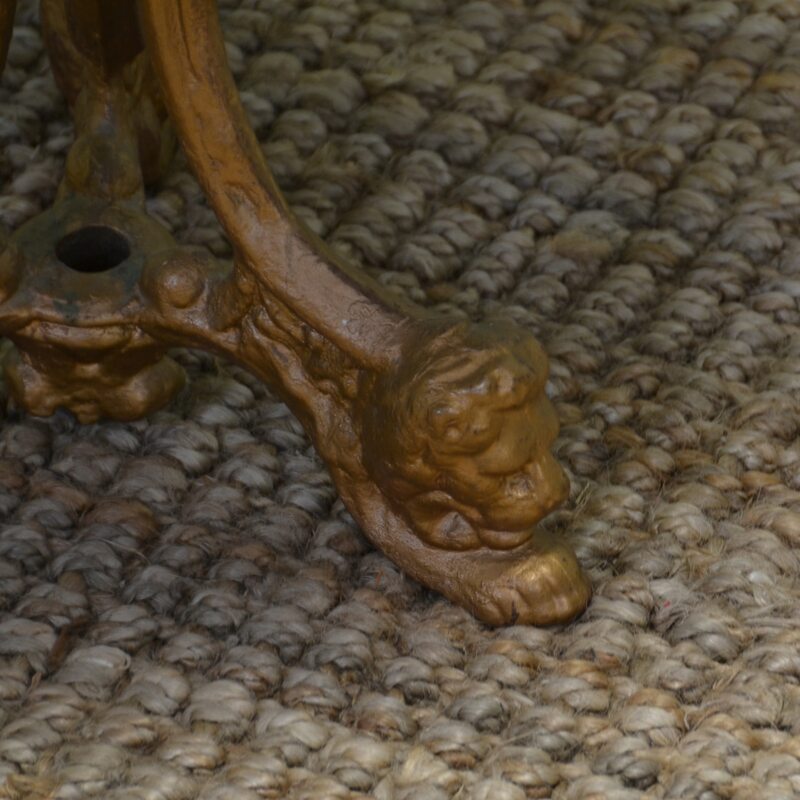 It has recently been upholstered with matching braid trim and had a decorative cast iron lion head base with the original number plate from cabin number thirty nine. 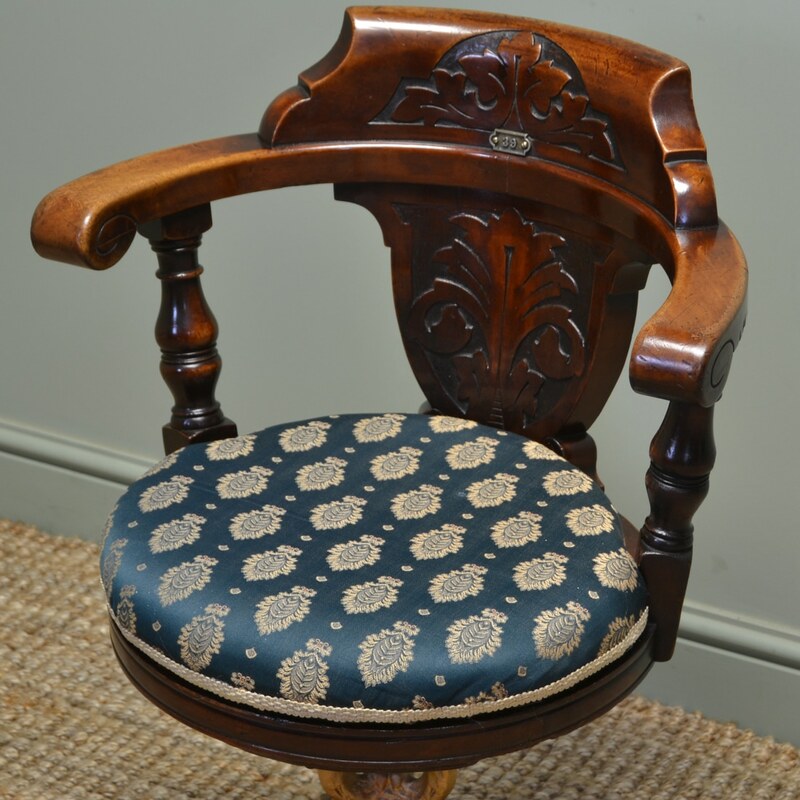 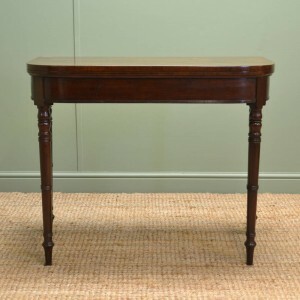 This unique chair has the usual beautiful charm and character that you would expect to find from a true antique and the walnut has aged to a warm shade with a striking grain, good patina, is in very good condition and has been beautifully cleaned using a traditional form of wax finishing.